Facebook is excellent for keeping in touch with family and friends, but sometimes it can feel a little too in touch. Maybe you don’t want to know every time your politically zealous college friend creates a status. Or maybe you’re a member of an extremely chatty Facebook group and you’re tired of the notifications blowing up your phone. You want to mute them without having to leave the group and hurt some feelings — thankfully, Facebook has made that possible. 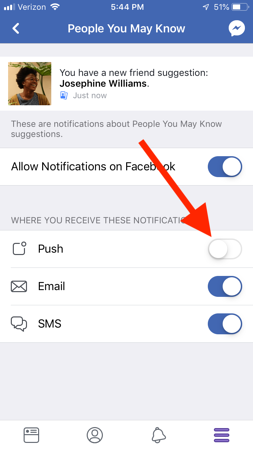 You can turn off Facebook notifications. 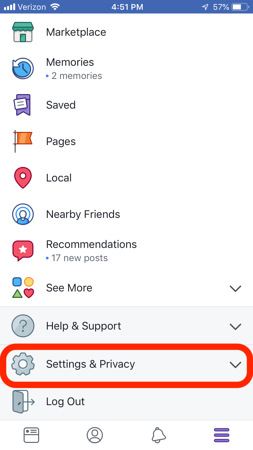 If you have a Facebook marketing strategy, which includes a Facebook business page that you do want to receive notifications about, you still can. 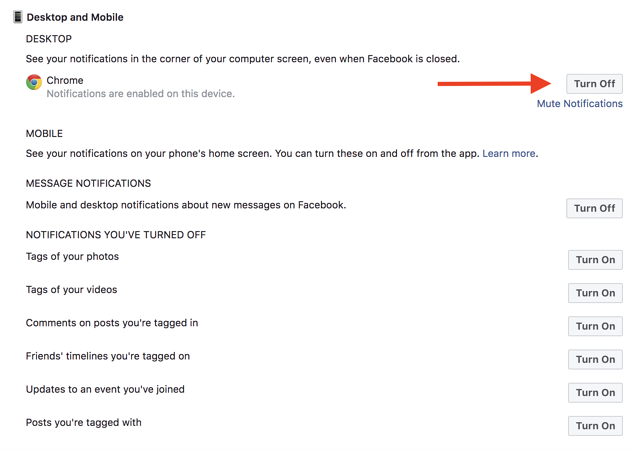 Facebook allows you to pick and choose which notifications you receive on what device. 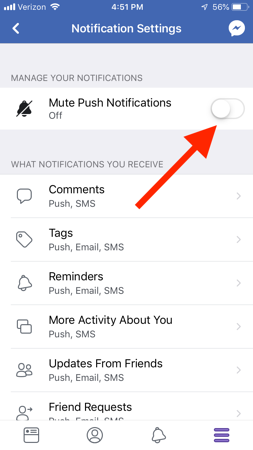 I’ll go over the different ways to turn off Facebook notifications on mobile (skip ahead to mobile now) and desktop, so no matter where you are, you can have control over your notifications. Let’s say you’re working from home on your laptop and are distracted by Facebook notifications popping up in the corner every 15 minutes. 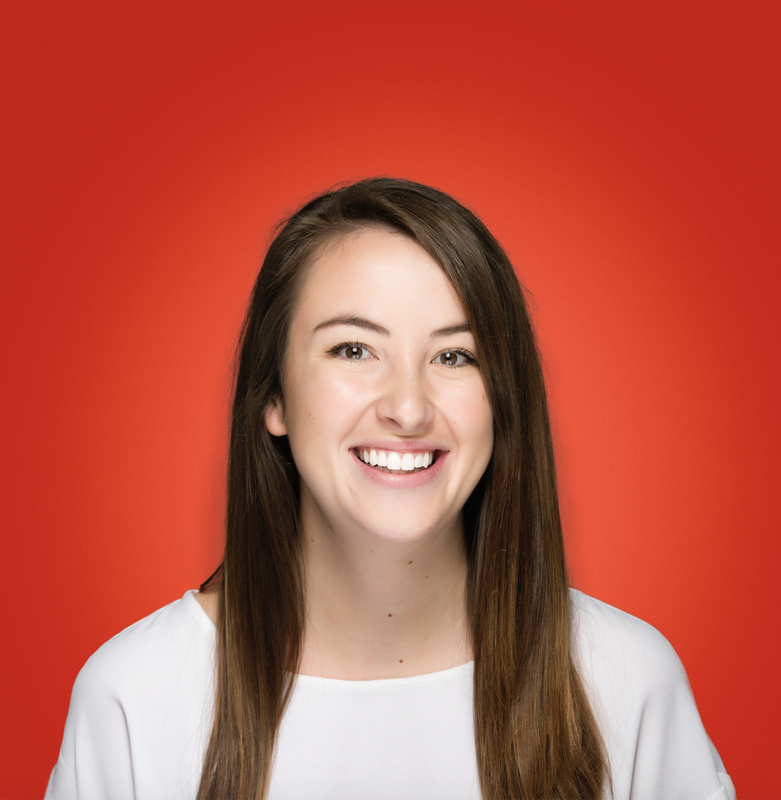 That’s not great news for your productivity, and if a deadline is looming on the horizon, you’ll quickly become frustrated. Let’s turn those notifications off while you’re on your laptop! Once in ‘Settings,’ find ‘Notifications’ in the sidebar on the left. Choose which device you’d like to change the notifications for. In the above example, you’d want to click on ‘Desktop and Mobile’ to change the way you receive notifications while working on a laptop. 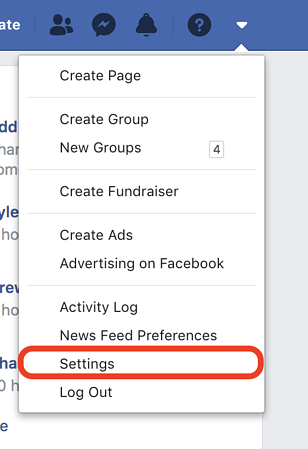 In this example, you can turn off individual Facebook notifications such as changes to an event you joined or comments on posts you’re tagged in. You can also turn off all notifications on your desktop by clicking the very first ‘Turn Off’ button next to Chrome. 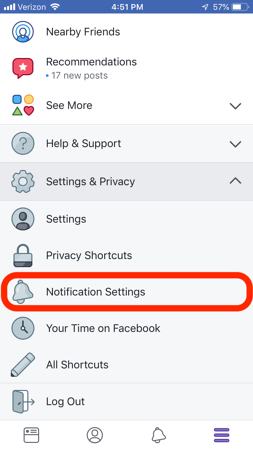 While you’re here, you might as well update your notification preferences in the other categories: on Facebook, e-mail, and text message. Congratulations! You’ve turned off Facebook notifications on your desktop. If you’re tired of your phone persistently dinging with Facebook notifications, I have good news — you don’t have to keep living life like that. Smartphones are already cluttered enough as is. So let’s remove those unnecessary notifications. On mobile, 'Settings' can be found by clicking on the menu button. It looks like three horizontal lines in the bottom right corner of your screen. Scroll down to find 'Settings,' the second-to-last option. When you click on 'Settings,' a drop-down menu will appear. Select 'Notification Settings' from that. If you're annoyed with getting notifications about people you may know, click on that section. It will take you to a new page where you can edit where and if you receive those types of notifications. Switch the toggles to 'Off' or gray. 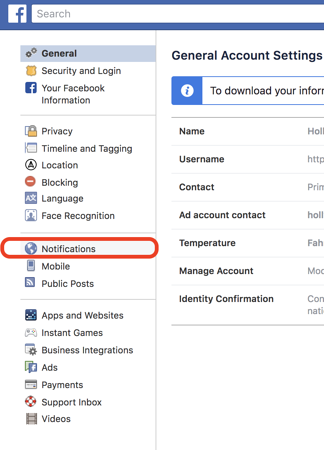 You now have control over your Facebook notifications! With those easy steps, you have decluttered your phone and can avoid silly distractions like Aunt Mildred posting her fifth cat picture of the day in the family group page. Just make sure to check Facebook once in a while to ensure you aren't missing out on anything!